Fast food: It's supposed to be cheap. But somewhere along the line, prices went up and dollar menus became "Value Menus." A single bill can still get you somewhere, but that "somewhere" is very far from full. But that's no reason to fret: Deep within every fast-food chain's menu lies hope for the hungry. To excavate it, we hit some top fast-food joints and devised delicious, filling meals you can put together for right around $5, give or take a Washington. We chose what to order based on: 1) what had a high caloric content, because it's important to be, like, all full of energy after eating cheeseburgers; 2) tasted great; and 3) would mesh well with other menu items in the interest of making a full meal for around $5. Finally, we ignored limited-time value offers, which change all the time. Got it? Good. Now check out the best cheap meals below. What to order: The Dollar Cravings menu is a panoply of faux-Mexican food that's incredibly affordable and delicious. Even better, Taco Bell now has a "Cravings Deal," which is a combo meal that offers a pile of food for just $5. 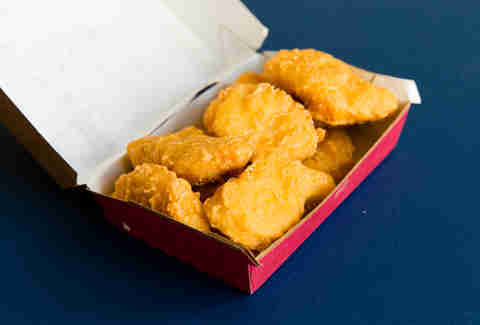 We recommend getting the Chalupa Cravings Box and making a few customizations to bring it up to a mere $5.49. Trust us, it’s worth the extra $.49. 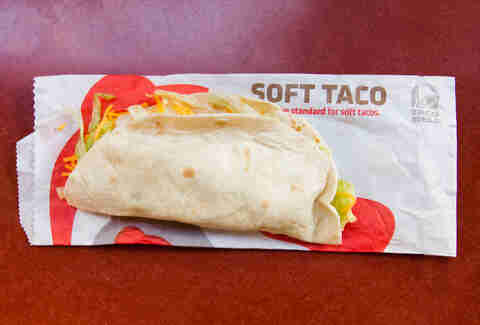 Use Taco Bell’s policy of letting you swap items into the Box and get a soft taco (aka the best damn thing on the menu), a Chalupa Supreme, a Beefy 5-Layer Burrito, chips and cheese, and a medium soda. Live mas, indeed. What to order: Five dollars can't even buy you a full entree and a side, let alone an entire panda (we tried), so we opted for the super-filling Beijing Beef ($4.45) on its own, along with a regular soda ($1.89). The employee serving tried to give us a side for no cost, but we couldn't accept because there's an off chance that you will end up at a different Panda Express with a different employee who is not cool like that. At least the fortune cookie's free! What to order: That sweet, pigtailed redhead has been gifting America Junior Bacon Cheeseburgers for years now, and the best way to order it is via a combo. Unlike some other chains, Wendy's knows that $5 is a critical price point, and still lets you put together a full meal with a sweet finish for less than a Lincoln. 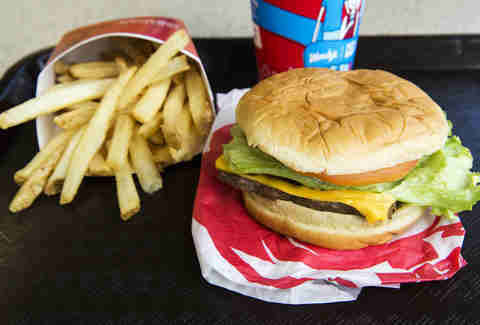 Snag a Jr. Bacon Cheeseburger, a small fry, and a small chocolate Frosty for just $4.21 altogether. And don't even try to get a vanilla Frosty. It's not a Frosty if it's not chocolate! Yeah, we're judging you. What to order: Sure, you might associate Dunkin' with breakfast sandwiches, donuts, coffee, and convenient airport locations. But it also offers lunch! The chain scrapped its delicious Texas toast grilled cheese sandwich with bacon, so we recommend its sausage, egg, and cheese sandwich on a croissant, as it offers a good bang for your buck ($3.49) with 170 more calories than a Big Mac (710). We recommend pairing it with a small sweet tea ($1.89). What to order: Five bucks can't buy you a burrito. But fear not -- it does buy a tasty kids meal. 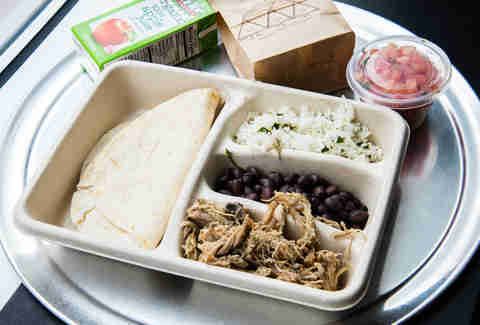 It doesn't have many calories, but it makes up for it in taste, with two soft tacos, carnitas, white rice, black beans, tomato salsa, chips, and a box of apple juice. Since the last time you probably had a juice box was preschool, you should take a nap after eating this meal. It's only right! What to order: You could buy Arby's limited-time only $5.99 Smokehouse Beef Short Rib sandwich, but we recommend turning instead to the more wallet-friendly Bacon Beef ‘N Cheddar ($4.59) to get your roast beef fix. Even though the curly fries are the best in all of fast food, you can’t find the unique Jamocha shake ($1.59) anywhere else, so make sure to snag one. What to order: There is but one job you have when you get to this stoner palace: Order as many sliders with American cheese as you possibly can for $5. Since they're $.91 each, that's five of 'em. Sure, you could get a slider, an order of mozzarella sticks, and a shake, but if you don't go to White Castle for the sliders, your life needs re-evaluating. There's a reason they were immortalized in Harold and Kumar and can now be purchased in your local supermarket's freezer aisle. 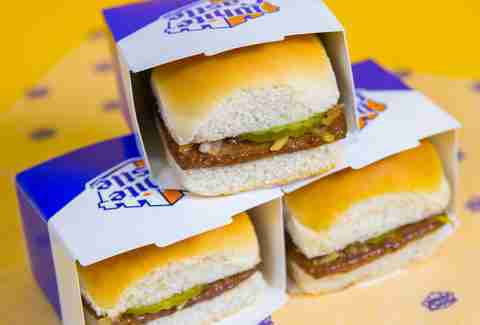 Just eat those five sliders as fast as humanly possible and go back to making whatever awful decisions you were making at 1am. What to order: The $5 Fill Ups are the best deal from the fried chicken chain, supplanting the Combo. You can get a Combo for around the same price, but it doesn’t come with dessert. For shame! Instead, order the Original Recipe two-piece with a drumstick and thigh. If you're not a dark-meat person, well, you're wrong. But, you can get the one-piece white meat breast instead. The combo comes with a side, and we recommend the well-seasoned potato wedges. Round out the meal with a biscuit, a chocolate chip cookie for dessert, and a 20oz drink to wash down all that fried chicken and potato goodness. What to order: While the original chicken sandwich is great, the real winner on the menu is an order of the eight-piece nuggets, which is only $.10 more ($3.99). 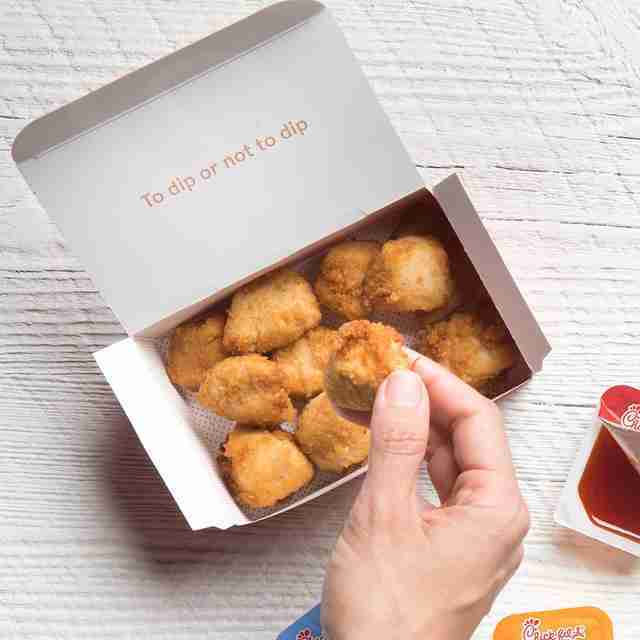 And because Chick-fil-A has some of the best sauces in the fast-food game, you'd be a real dummy if you didn't dip those precious nuggets into the BBQ sauce, original Chick-fil-A sauce, and Polynesian sauce. Pair 'em with the waffle potato fries for another $1.99, and you've got a solid lunch or dinner. Except for on Sundays. What to order: While another sub chain made a name for itself on a super-cheap footlong deal, Jimmy John's is a bit more of a premium offering. So you'll sadly have to forgo favorites like the Big John roast beef sandwich. Instead, snag a salami, capicola, and provolone Slim ($4.25), which offers plenty of protein and calories, plus a smattering of meats! Even though it doesn't come with lettuce, tomato, or anything else that belongs atop a sandwich, you can get around that by requesting free mayo and mustard packets. Luckily, you'll still have cash left over to get a bag of the chain's crunchy kettle chips -- the salt & vinegar Jimmy chips ($1.51) are the winners here. What to order: “I’m looking at the menu, and soup is your only bet,” is what a Panera employee told me when I asked what my best bet was for around $5. He’s not wrong. 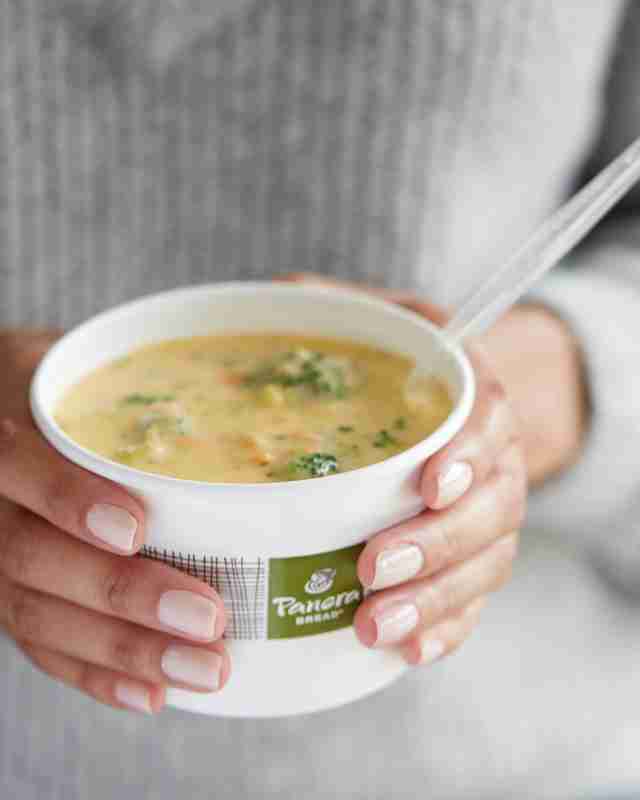 Panera’s food is overwhelmingly tasty, but it’s not a chain for penny pinchers. To maximize the amount of calories in your meal, go with the Broccoli Cheddar for $4.69, and order the baguette as a side so you can mop up the soup when you’re finished. For dessert, Panera’s bakery has delightful little coconut macaroons with chocolate for just $.99. What to order: To get anything under $5 at a Mexican chain that doesn’t rhyme with Schmacko Sell or Kell Maco, you have to get a little creative. And we’re getting creative with Qdoba in the same way we did with Chipotle: by ordering from the kids menu. But if you build your meal right you won’t be hungry! Order the Kids Nachos in the huskiest voice you can muster just for fun, and put anything you want on top of it. Yep, throw on black beans and beef, as well as cheese and more cheese. You also get applesauce on the side and a small soda! Because the Kids Meal is just $4.30, save room (and only spend $1!) on a simple chocolate chip cookie that’ll raise your calorie count by a solid 260. What to order: McDonald's once had a Dollar Menu, and it was glorious, for it allowed anyone with a handful of singles to eat like a king (or queen!). Since All-Day Breakfast is still a thing, take advantage of that by McPicking a Sausage McMuffin ($1) and a six-piece McNugget ($3.19). You'll still have a dollar bill left over, so order a small Coke ($1), which is a perfect pairing for any McDonald's menu item. What to order: People go crazy for Sonic's hot dogs and fancy frozen drinks, but don't sleep on its burgers. Really, don't, they don't offer good enough neck support. Order the Jr. Deluxe Cheeseburger ($1.79), a solid backyard burger if there ever was one. And take advantage of Sonic's fantastic dessert options in the form of a mini Cheesecake Master shake ($2.89). Not only does a mini pack in a belt-stretching 440 calories, it's also delicious, as it includes real ice cream, graham cracker crumbs, and whipped cream. Warning: Don't try to drink all of its shakes in one sitting. What to order: The $5 footlong is dead! Long live the $5 footlong! Ever since Subway scrapped its signature deal, people looking for a quick sandwich for cheap have never been the same emotionally (or financially). 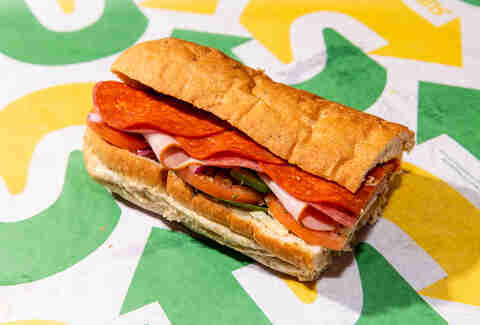 Still, the sandwiches remain quite affordable: We recommend ordering the six inch Italian B.M.T. (Genoa salami, spicy pepperoni, Black Forest ham) on rye bread ($4.69) with a bag of Doritos ($1.29). And don't forget to top that sucker with any fixins you want -- unlike other sub shops (*cough* Jimmy John's *cough*) -- it's all free. What to order: Starbucks wants you to buy its sandwiches. And so do we, with one caveat. If it looks like a bread-based masterpiece you’d want to eat for lunch or dinner, put down your credit card and slowly back away from the refrigerated case. Instead, focus on the breakfast sandwiches -- those suckers are all around $4 before tax -- and they’re served all dang day and night. Sure, the Sausage, Cheddar, & Egg has more calories than the other sandwiches, but don’t order a Mickey D’s staple from Starbucks. Instead, the Bacon, Gouda, & Egg Breakfast Sandwich is the winner at a reasonable $3.95. And if you’re gonna go to Starbucks, you might as well get some cheap Iced Coffee (or hot brew… but we like it cold!) for just $1.95. Make sure you download its Rewards app: all refills on plain brewed coffee/tea are free when you dine-in. What to order: BK keeps sneaking crazy-cheap specials onto its menu on a temporary basis, and if you see the recurring $1.49/10 nuggets special, this all goes right out the window. Ditto for the ever-changing two-for-$5 special that sometimes features the legendary Original Chicken Sandwich. If you see that, make like Busey and get two. But in terms of everyday menu items, you can still live like, well, a king. Get value fries ($1.29), a Crispy Chicken Jr. ($1), a bacon cheeseburger ($1.99), and a Hershey’s chocolate sundae ($1.49). Lee Breslouer is a contributing writer for Thrillist, and thinks there's no shame in ordering a kids meal. Follow him @LeeBreslouer, especially if you enjoy McGriddles.